Not everything urgent is important. Not everything important is urgent. In the day-to-day work of pastoral leadership, most of the urgent requests, tasks or conversations are not organizationally important. And similarly, most of the important requests, tasks or conversations are not immediately urgent. Those things that are both urgent and important do exist, but they are rare and easily recognizable. They are moments of shepherding through sudden tragedy or celebrating in a surprising victory. When everything is both important and urgent, ministry is hard. In fact, it is nearly impossible to sustain. This is true for you, and for your team. 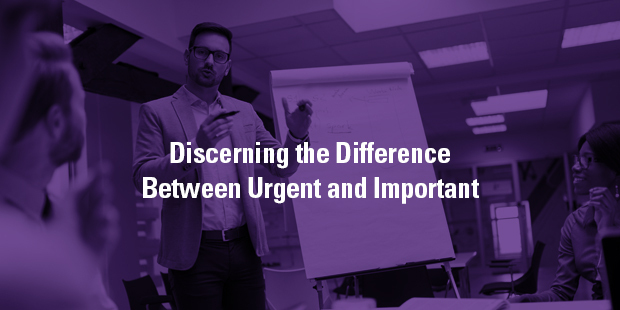 It remains then that knowing the difference between what is urgent and what is important creates margin and produces perspective for every leader in the organization. Failing to steward the urgent and the important can also disguise, or even mute, the work of God in a particular moment or situation. There is something to be said about not being immediately responsive to every urgent request presented to the pastor. Even if it didn’t make sense in human terms, Jesus knew the powerful difference in responding to what is urgent and what is important. …urgent requests reflect personal preference. …important needs protect organizational clarity. …urgent challenges request responsive appeasement. …important issues require collaborative agreement. …urgent tasks captivate within ministry silos. 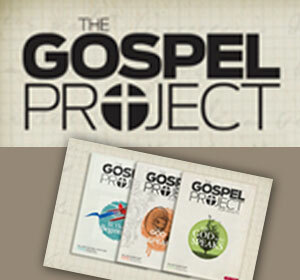 …important initiatives motivate across ministry goals. …urgent needs come with a moving story. …important moments bring Christ-honoring glory. The mature pastor sees the urgent request that is not organizationally important as an opportunity to develop other leaders through empowering delegation. The mature pastor sees the important need that is not immediately urgent as an opportunity to take the time to seek God and wise counsel through collaborative determination. As you face another week of to-do lists, programmatic activity, and pastoral needs, what is seemingly urgent that you should hand-off, and what is truly important that you should fix your mind-on?